The Ames Center is a stunningly beautiful and fully accessable space that hosts art exhibits, business conferences, and a wide variety of music and theater productions. 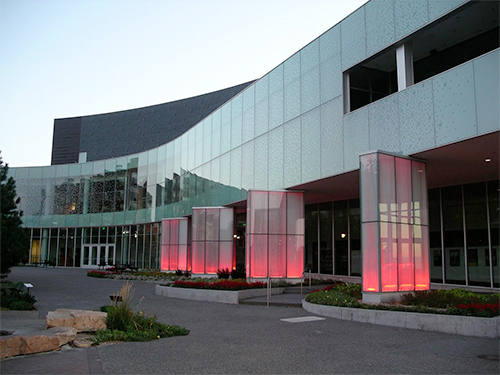 Completed in January of 2009, the complex has a two story all glass lobby with a sweeping view of Nicollet Commons Park and the Minnesota River Valley. Ticket may be purchased in person at the Ames Center Box Office, by phone at 1-800-982-2787, or online through Ticketmaster. 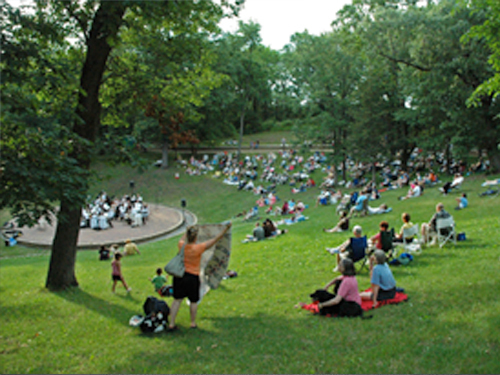 Free summer concerts are performed in area community parks each year, including the beautiful Caponi Art Park in Eagan (pictured). These hour long performances are a great chance to hear the orchestra in a casual outdoor setting, and are perfect for families. Check back soon for a complete list of our 2015 performance schedule.